Cleanliness is a shared responsibility. 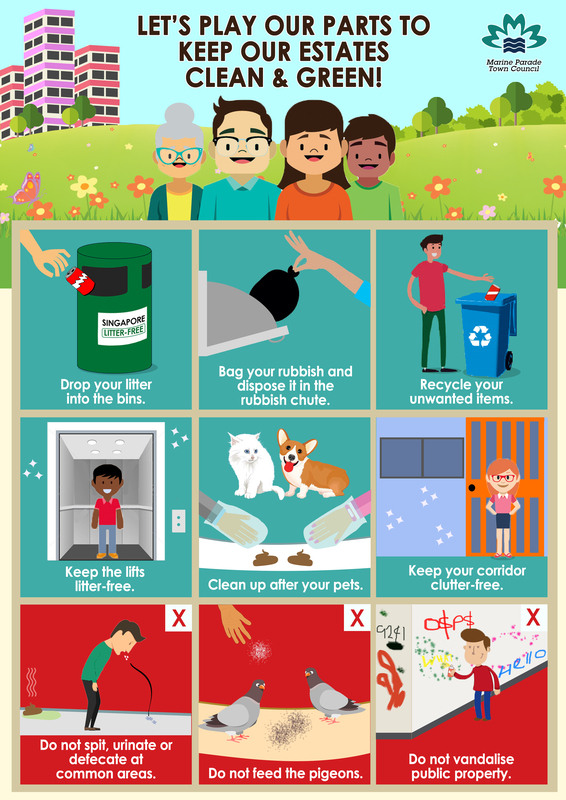 Here's how residents can play a part in keeping our estates clean and green! Share this information with your friends/family and together, we can make our Town a better place to live in.